I am nothing if not predictable, so to say I love a turquoise shade of anything will be far from shocking. But hey, at least I’m consistent! 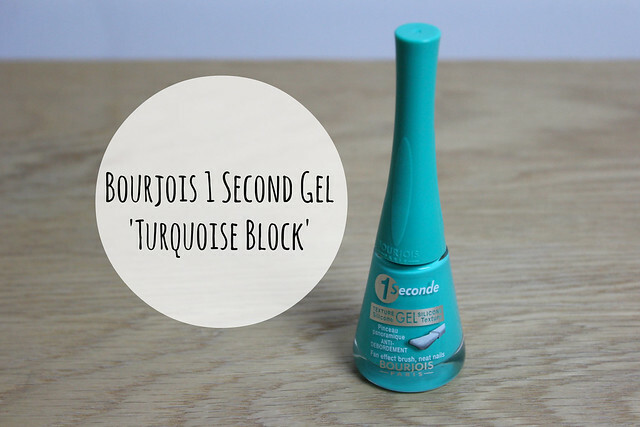 This is my latest turquoise love in my life is ‘Turquoise Block’ from the Bourjois 1 second gel range. The colour is a properly vibrant head turner – a true turquoise that’s creamy and bright, but would work just as well with muted greys and blacks for Autumn as it would with other bright colours in warmer months. I really like the brush and formula of this polish range. My only niggle being the huge lid makes storage a pain as it doesn’t fit in my helmer drawers and is so much taller than any other polish in my collection that it can be a bit awkward to find it a home. But that storage-issue aside, these are absolutely fab. 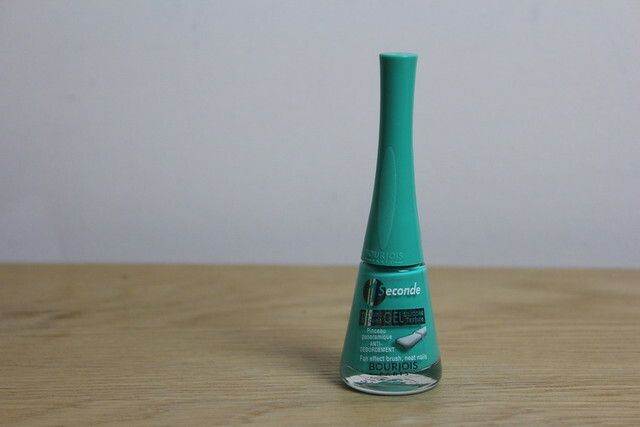 Creamy, two-coats to perfect and then glossy when dry. 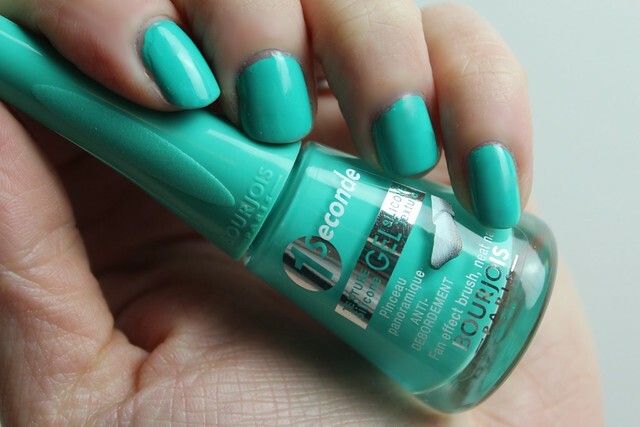 There’s also a new bright blue from this range that is rather special too – so if you like blue nails like I do, keep your eyes peeled for a post on that shade soon! Such a lovely vibrant colour! You’re right, I think this would actually work quite well for Autumn! I need to get my hands on this. Oooh this is a lovely shade! I’ve been put off buying them because of the ridiculously tall lids, but may have to get this one.. I really want to try at least one color of the range..that one seems like a nice start!